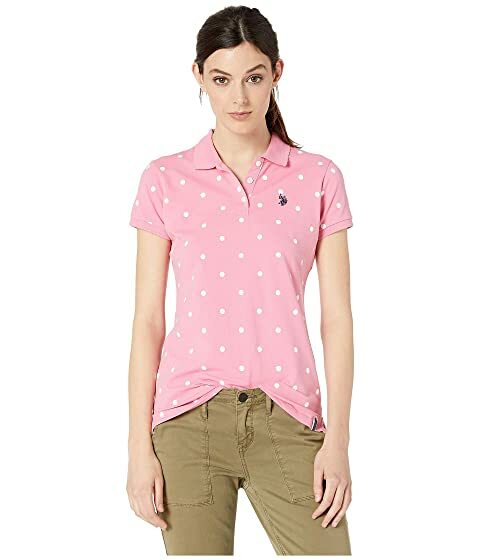 You may be seeing things but good style is one of them thanks to this U.S. POLO ASSN.® Dot Polo Scallop Collar polo. 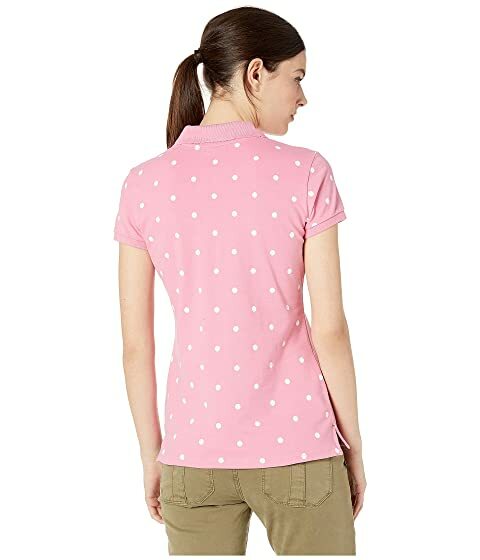 Playful polka allover print adds some personal style to this polo. Split sides at straight hemline. 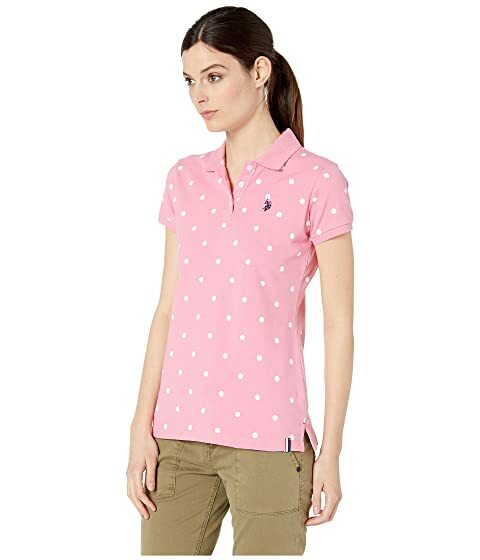 Polo collar with scalloped trim and button placket.